Gir Del was incorporated in 1973, starting out in a 2,000 sq. ft. location. We have expanded several times since to our present 38,500 sq. ft. location; making us the largest Mobile Hydraulic Service facility in Western Canada. We were acquired by Guillevin International Co. in May, 1989; and operate as a Division of Guillevin. The Corporate head office for Guillevin is in Montreal, Quebec. Gir Del is a full line Parker Mobile Hydraulic product distributor. We are an active member of Parker Canada’s Distributor Advisor Council and are the Western Canada Hydraulic Regional representative for the Council. Our large inventory of Parker Mobile Hydraulic components supports our customer’s requirements for timely component supply of products. We have very extensive shop facilities and many long term employees with a great depth of knowledge. In addition to supplying new components; we can service and repair in-house all of our customer’s hydraulic cylinders and an extended range of repaired components. This gives us the ability to fully service customer’s hydraulic requirements as a one stop full service partner with our customers. Gir Del has grown our reputation in the market and with our customers as a Hydraulic Supply and Service facility that is very service oriented. We are well known for the high quality of workmanship in repairs we supply and with a quick turn around time. Many of our customers rely on our technical abilities, shop facilities and component supply to be their hydraulic resource partner. We continually strive to maintain this high regard for our abilities; and much of our growth has come from our present customers referring us to a new account. 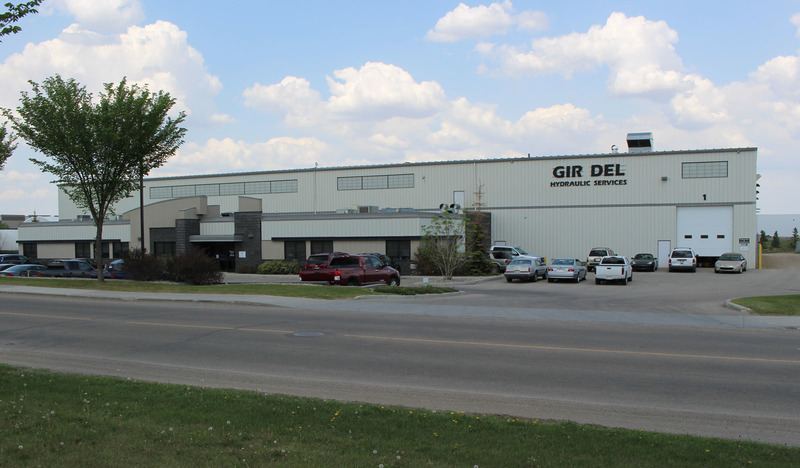 Gir Del is also very active with the Canadian Fluid Power Association and has been a leader in growing Fluid Power Education in the Edmonton region.